The digital movement in India has begun on a larger scale, and many big organizations from around the world are pitching in to support it. 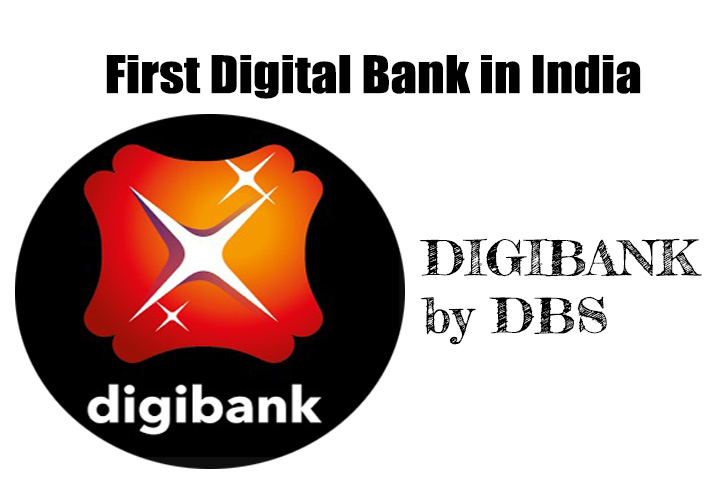 DBS Bank from Singapore has brought a brilliant “Digital only Bank” to India- Digibank-which is the first of its kind. They have some great offerings and features like – No paperwork, no visits to a bank to set up, no OTPs, no cap on deposit amounts, Unlimited ATM withdrawals, 7% interest rate and much more. Just a few days back, I withdrew money from ATM near me and about Rs. 24 (approx) got deducted instantly on my first transaction of the month. Although I am using ICICI Bank I have faced a lot of issues with them and I did not have a great experience with their pockets app. But I will not go into details of it right now. Let me introduce the Digibank by DBS to you. Start by installing their application on your smartphone. Enter information like Aadhar card and PAN number. Go to a Cafe Coffee Daynearby for biometric verification or call an executive to your place. Drink your coffee and comeback ? The best thing about the process is it’s simple and straightforward, I have attached screenshot of what questions are asked while signing up for the first time. It happens in just 90s as compared to over 5 mins on the Kotak 811 app. Firstly, you will be asked about your name, DOB, phone number, username & password. Moving ahead you will need to accept their terms and conditions etc. and then about your Aadhar card number and PAN number. After that, wait for a call from DBS Bank, and, a person will come from the bank for biometric verification. As soon as the verification is done, your Savings Account is created. The more I think about digital banking in India right now, the more I feel DBS Bank will disrupt the present banking system. Some services are similar (Kotak 811), but they don’t offer so much. Kotak 811 services when compared doesn’t match on many features. The interest rate offered by Kotak 811 is 6% compared to 7% on Digibank. Moreover, you have to pay a fee to get a debit card from Kotak, while Digibank offers physical debit card without any fee. When you deposit cash or withdraw money from Kotak 811, you have to pay some charges, while Digibank provides you unlimited ATM withdrawals with no fees at all. Here, I have seen real benefits any person would agree with me that it’s a great app. The features like – Unlimited withdrawals at any ATM near you, Zero balance facility, No OPT’s and 7% rate of interest on Saving account, 24/7 virtual assistant service. Considering all these features, I can say that you don’t need to visit banks these days and this is the best thing that will ever happen to Indian banking. Do let us know what do you feel about Digital Banks and what features do you think these banks can’t provide you? Have you opened your digital savings bank account? Went through your post and it looks so easy and simple. I will surely try and share the feedback with you.